As we head toward cooler weather in Manchester, New Hampshire and the rest of New England, we’re excited to say goodbye to the summer bugs that have pestered us for months. Of course, exterminators at Modern Pest will still get prepped for the usual round-up of local annoyances that peak in winter, like mice and spiders. Plus, we’re also getting ready to answer different, less frequent calls for some less common fall pests. While the end-of-summer buggers listed below tend to swarm more often in rural areas, they can creep up in the suburbs and cause a stink in buildings — whether it’s literal or metaphorical matters little. What matters is that we get there and take care of them, especially for businesses relying on a sanitary workplace. Aka lady bugs, these particular beetles are a little different from their more cherished cousin. They seek out a home to spend the winter, often getting inside, nestling in corners, and crawling on the walls and windows. As they go about their routine, they emit noxious fumes, and release a yellowish stain when upset. 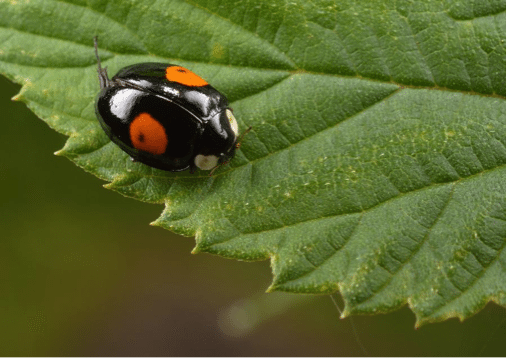 Asian Lady Beetles weren’t always a New Hampshire problem — or even a United States problem — until they were brought here in the 1960s. You’re more likely to see them on a sunny day after a bout of cool weather, typically from around September to November. All this depends on the temperature, but one thing is certain: the more trees and fields you have around you, the more likely you are to have a problem. No worries, though. Beetle control experts at Modern Pest can determine levels of infestation and quickly get you set up on an integrated pest management plan. One person’s music is another’s noise – and the same goes for the song of the cricket. Especially if that song is playing inside the house. More than just a bane on the eardrums, though, the three types of crickets commonly found in Manchester, New Hampshire can be destructive: camel crickets, field crickets and house crickets (pictured above). Crickets can easily slip through opened doors, garages and cracks in a building. Once in, they go for anything made of paper or fabric, including clothing and curtains. They seek out, and prefer eating things with a little bit of leftover food or sweat on it. 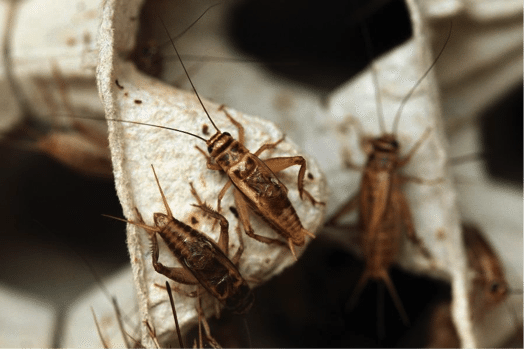 You’ll not only hear crickets when there is an infestation, you’ll also find holes in fabric items and skins that have been shed throughout the house or office. Much like the Asian Lady Beetle, Western Conifer Seed Bugs are lumped in the “stink bug” category, though they aren’t actually part of that family. While they do let loose a stench when killed, along with a brown stain, they aren’t stinky by nature. Of course, the discernment doesn’t mean much when they’re all over your home or business. 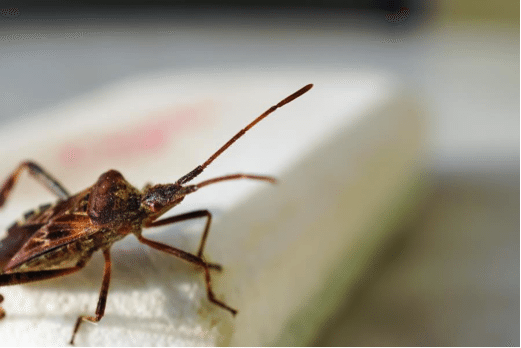 Back in 2012, New Hampshire in particular saw a major increase in reports of these stink bugs. Though their large size and the buzzing noise they emit when flying creeps people out, the infestation didn’t amount to much more than a widespread case of the jitters. Still, a home or business that wants to remain a stink bug-free zone would do well to call exterminators in Manchester who know how to handle it. If you’re finding any of these critters around your home or business, we’ll provide a free estimate and personalized solution. We’ll not only work on treating the current problem, we will create a custom prevention plan that limits the amount of both pesticides used and the number of visits required. Fill out this form to get started today!